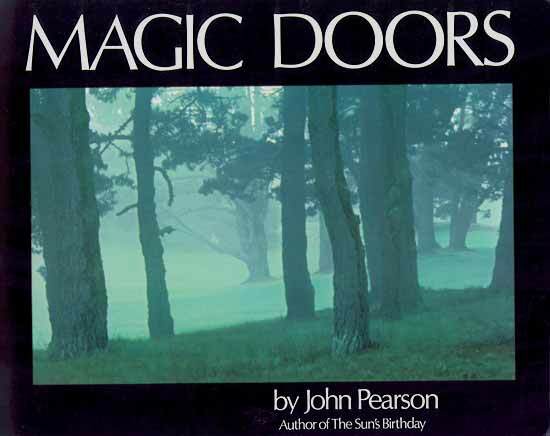 The first day Lori (our protagonist in my almost finished novel Epiphany) spends in Eugene, Oregon, she purchases a used copy of Magic Doors by John Pearson. The images in his book of photography are all about entering another dimension, perhaps not even noticing the portal passed through to get there. Art is like that. Next, Lori took lessons in building stained glass and began putting the pieces together that she cut. How did she know what glass to use? What colors? What patterns? She felt her way along and that became her way forward. Life is like that, an art project she could create, and she wanted it to be a masterpiece. Against the advice of her teachers, Lori chose to do a Tiffany designed lamp for her first ever project in stained glass. Why not? How hard can it be—The teachers are present, and the student is ready! And that is the theme for my next blog. In the meantime, arrange things, put an outfit together, paint a picture, order The Way Back and get to know your inner knowing!